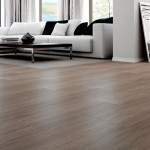 This buyer’s guide to flooring will help you achieve a practical and attractive surface that suits your home, lifestyle and budget. 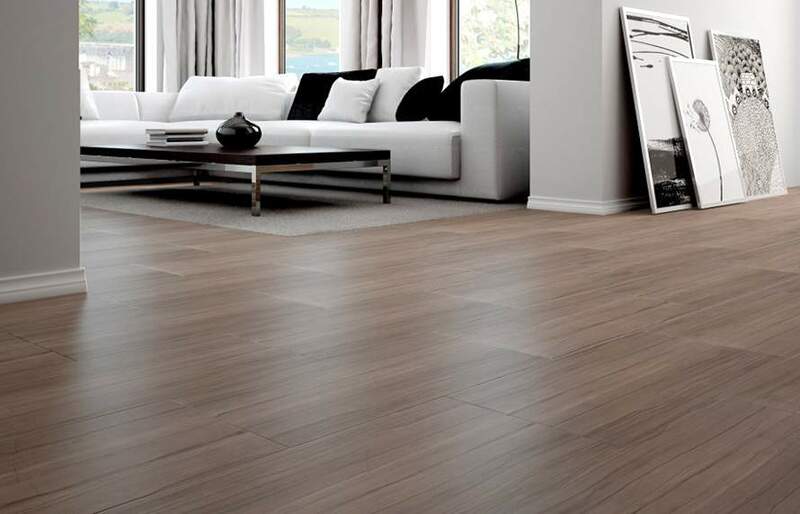 The style of your home, budget considerations, personal taste and lifestyle are all factors you need to think about when sourcing flooring for your home. 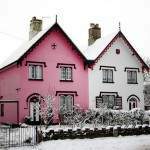 You need to create a balance between functionality and good looks if you want to end up with a covering that you and your family will be able to enjoy for years to come. 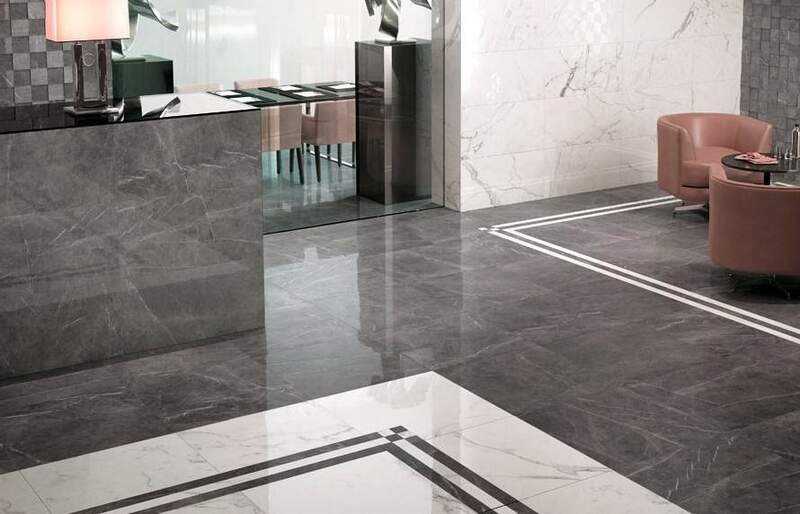 A ceramic product, porcelain tiles are one of the most versatile coverings on the market They are heat and water resistant, and most are resilient to frost, too. 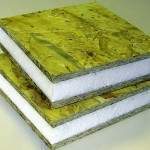 The material is hardwearing and can be used for a variety of applications from floors and walls to whole bathrooms. The great thing about using porcelain floor tiles is the sheer range of design options available. You can go for plain or patterned, or select a mixture that will provide a real wow factor. You can achieve an eyecatching result by using a mix of sizes and patterns, too. 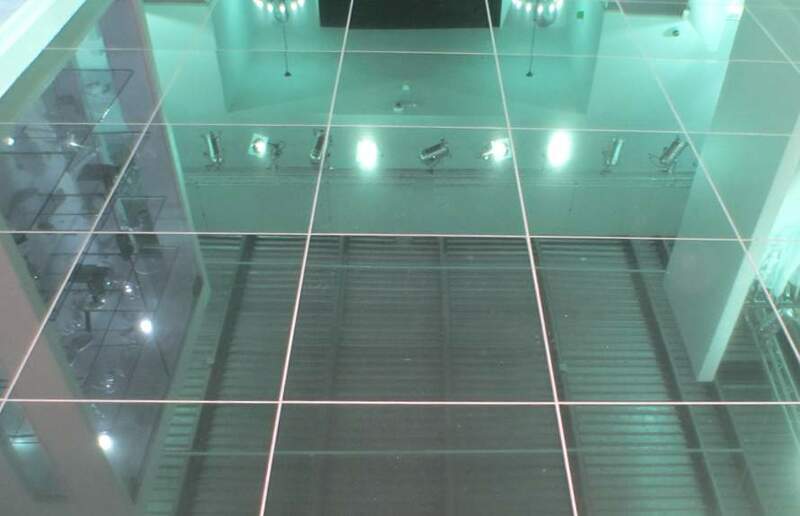 They can be installed in straight rows, prepared in a diagonal formation, or you can custom make a layout In addition to the main covering, you must consider your selection of grout colour. 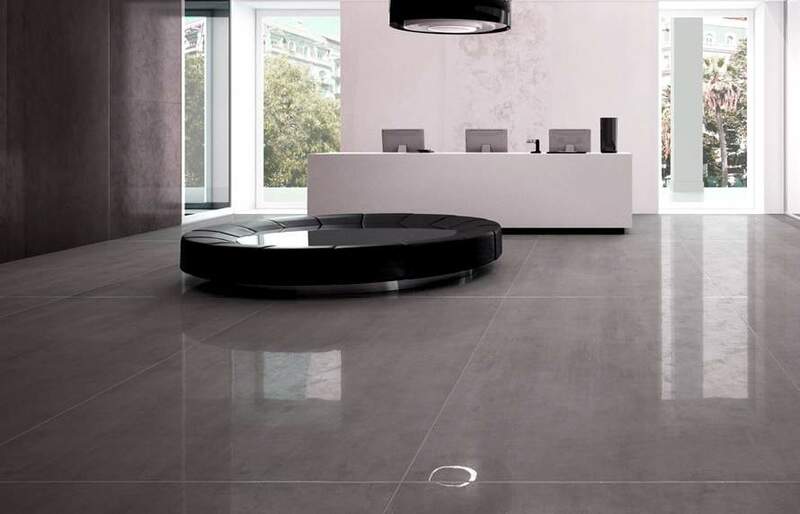 This plays an important role in the floor’s finished appearance – you should choose a tone that combines well with the hue of the porcelain. As tiles are produced in batches, it is important that you order enough from the same collection – otherwise there may be shade variations. If in doubt, you should order slightly more than required to allow for any mis-measurement or breakages. Most suppliers have a good returns policy. Porcelain is manufactured from extremely pure clays and minerals. Tiles are shaped by dry pressing, and then fired at a very high temperature – making them even harder and denser than other similar products. 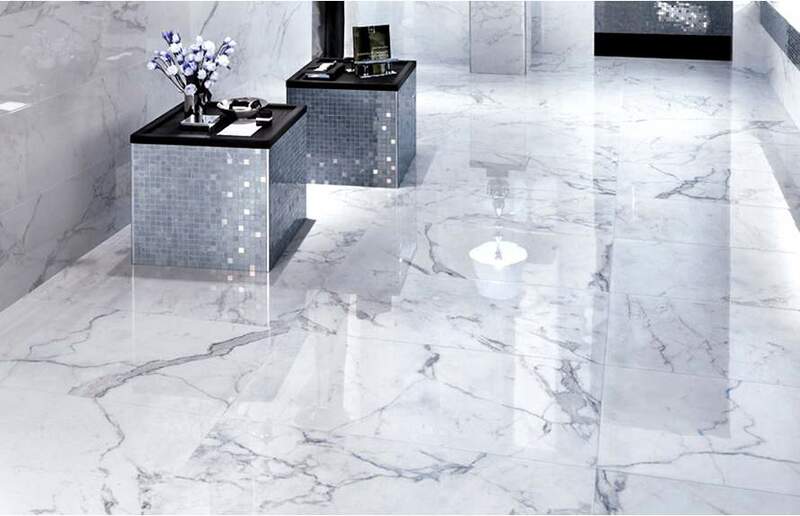 In fact, porcelain is stronger than some natural stones. As a result, it is highly resistant to scratches and can withstand extreme temperatures. 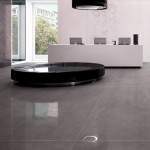 As porcelain is non-porous, it’s naturally impervious to stains and has a low water absorption rating. As a result, tiles can be used for both interior and exterior applications – so you could fit the external entrance in the same product as your hallway floor for a seamless finish. Does it work with underfloor heating? Tiles are excellent at transferring heat so are the perfect pairing for UFH. Porcelain copes extremely well with temperature fluctuations (hot and cold). Can I lay it myself? 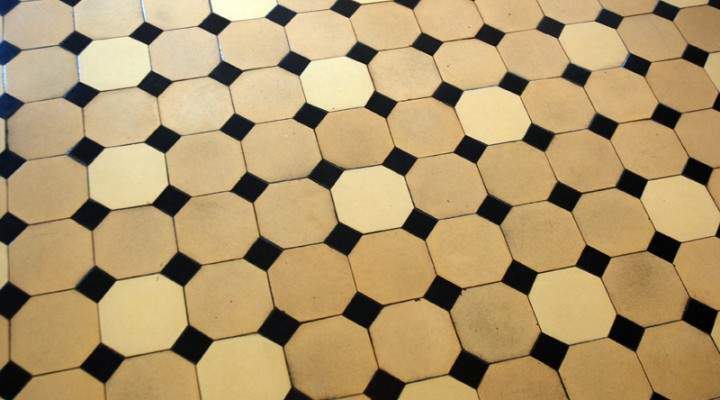 In terms of installation, laying tiles is a common DIY project If you want to have a go, start with an inconspicuous place where mislaid tiles can easily be removed and replaced without affecting the whole floor. Pros: You can achieve a bespoke finish by mixing styles and using an intricate arrangement Tiles are perfect in high traffic zones, and for kitchens and bathrooms due to their waterproof nature. 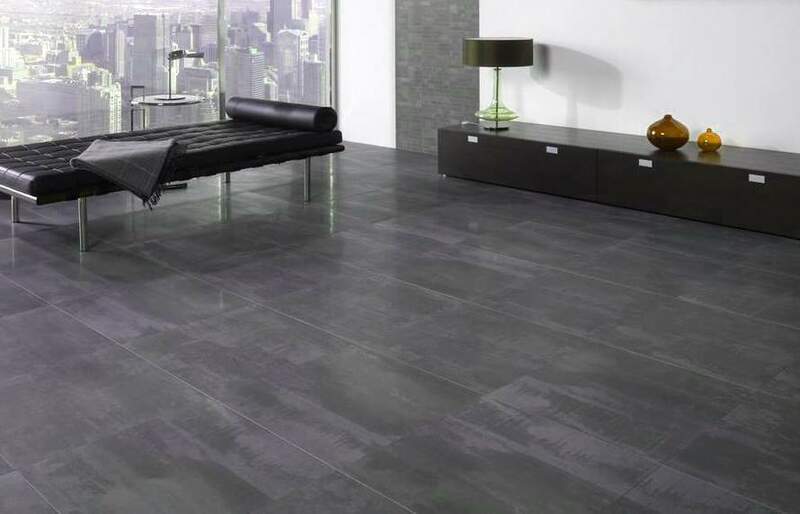 Cons: If you aren’t using tiles with underfloor heating, they can be cold underfoot in winter. If you break a tile once it has been laid, it may be hard to find an exact replacement if you don’t have any spares from the original batch. 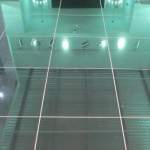 Price: From £15 per m2 for basic tiles to over £100 perm2 for versions with intricate patterns. 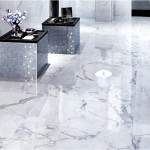 This type of finish has been given a hard time in the past, largely due to the cheap floor tiles often seen in offices. A synthetic cousin of linoleum, vinyl flooring is water- and stain-resistant as well as being versatile and fairly durable. Thanks to a number of advances, today’s vinyl floors can be both attractive and economical. There are two types of product: sheet flooring, where the material is laid down in leafs of six or 12 feet wide, and tiles. While sheets are more waterproof and easier to install, many homeowners prefer the latter option, which can replicate the look of a ceramic (or even timber) floor at a more affordable cost. 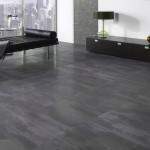 Vinyl is resilient and hardwearing, but its also soft – making it comfortable and quiet to walk on. It’s great for use in bathrooms as it is very easy to clean. Plus, if you use a sheet, there are few seams, so there’s fewer places for dirt to accumulate. Does it work with underfloor heating? Possibly. Some products cannot tolerate higher temperatures, so check suitability with your supplier as well as your UFH manufacturer. You’ll also need a special high-temperature adhesive for installation. Can I lay it myself? Most competent DIYers should be able to fit sheet materials themselves. You will need to correctly seam the vinyl to ensure the finished floor remains waterproof. Ease of installation varies depending on the style and pattern of the floor. Intricate or repeating decorations increase the complexity. Pros: Vinyl flooring is durable and stands up well to frequent foot traffic. It is comfortable underfoot and reduces noise, which can be important for homeowners with kids or pets. It is also less expensive than many other flooring options and is easy to maintain. Cons: Vinyl floors do not stand up well to heavy loads and can be damaged by sharp objects. 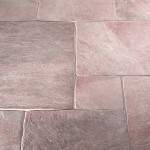 Also, colours can fade with overexposure to direct sunlight Price: From £4 perm2 for the cheapest floor tiles, up to about £50 per m2 for high-end products. Carpet is still one of the most popular flooring types available and is loved both for its diversity and for the comfort it provides underfoot. “Carpet is like everything else – you get what you pay for?” – says Rupert Anton from the Carpet Foundation. “When selecting this type of flooring, the most important thing to look for is the material. There is a wide range of natural and manmade fibres available”. Wool has been used for centuries in carpet manufacturing and is still recognised as the best fibre for this application. The benefits are that it feels warm, soft and luxurious, and is easy to keep clean. Nylon is extremely hardwearing and is often used in a blend with 60-80% wool. This mix provides a carpet that is easy to clean and has very high abrasion resistance. Polypropylene is a stain resistant fibre that’s hardwearing, low maintenance and is colour fast. However, no more than 20% should be used in a mix – on its own it has poor fire resistance. Carpet also offers a wide variety of surface texture options to change the look and feel of the material overall – not to mention influencing the wear performance. “There are practical issues to consider with certain textures”, – says Rupert. “Twists are very hardwearing, while velvet has a smooth and luxurious appearance. Saxony has a pronounced sensuous feel, but does tend to flatten. Loop piles are fashionable, but you should avoid them if you have pets – claws can have a negative effect”. Does it work with underfloor heating? It is hard to give a definitive answer here. For years the self build industry has given mixing this finish with UFH a thumbs down (as carpets and underlay are themselves good insulators). However, if you make sure the combined tog value is less than 2.5, you can still get an effective result. Always check with your supplier. Can I lay it myself? In short, the answer is no. Fitting carpet is a skill – it should be laid in accordance with BS5325, the British Standard for the installation of textile floor coverings. Pros: Carpet is versatile and can be used in almost any room, but is best for living areas and bedrooms. Using a wool blend will give you the benefits of soft luxury, coupled with manmade durability. You’ll be able to find something in any colour you desire. Cons: Carpet doesn’t work well in a kitchen and it’s not recommended anywhere that it’s going to get too wet. Don’t be swayed by fashionable patterns – styles come and go, and you don’t want to be left with something that will become outdated in the next few years. Price: From about £6 per m2 for synthetics. Luxury carpet can cost as much as £150 per m2. 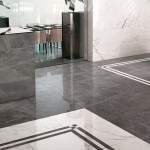 If you desire a high-end finish, natural stone such as marble, granite, sandstone or slate can produce a striking result. 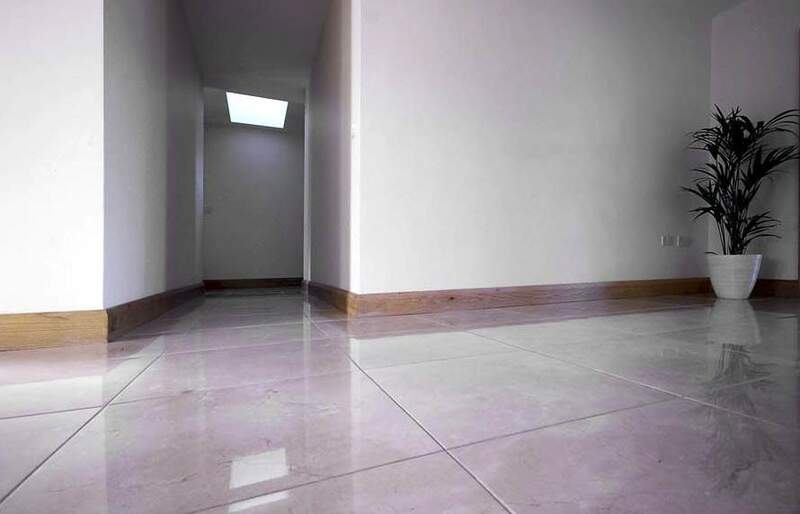 Stone flooring that’s correctly installed, sealed (to protect it from stains) and maintained will last a lifetime, although a little bit of wear – particularly in high traffic areas – is obviously to be expected. “Many stone tiles actually look better as they acquire a patina over the years, and this is part of their appeal” – says Leila Roberts from Fired Earth. Stone can be used throughout the home and this versatility is one of the reasons for its enduring popularity. A gleaming marble is perfect fora glamorous contemporary bathroom and can be surprisingly affordable, while rugged flagstone-style tiles are a hardwearing and forgiving option for busy kitchens. It can make a great first impression in a hallway, too. “From an aesthetic point of view, there are countless types of marbles, travertines, limestones etc to choose from, so your selection will depend on the look you want to achieve”, – says Leila, – “All stones will exhibit degrees of colour variation, and this is very much part of their natural beauty”. You can alter the character of any stone by adding a finish, such as a high-sheen polish, an understated matt or even a weathered effect. For cleaning, don’t use bleach or common household products as they may lift the sealant. Invest in a specialist cleaner – ask your manufacturer to suggest a suitable product. Does it work with underfloor heating? 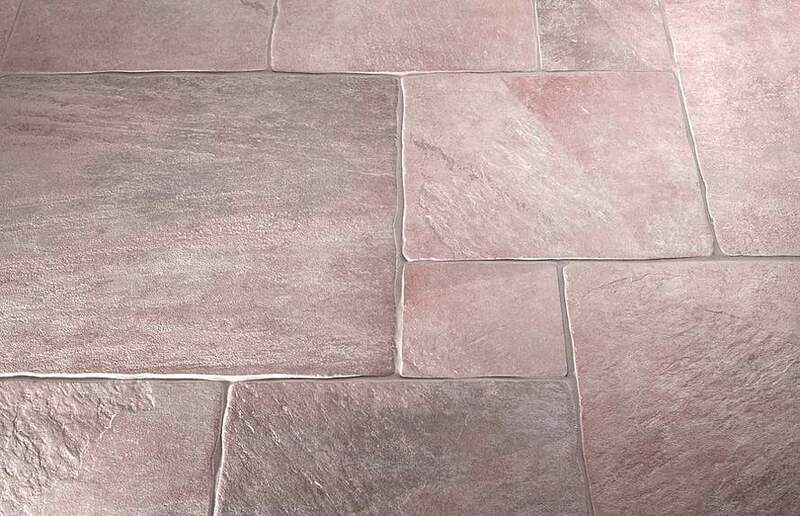 Despite its reputation for being cold underfoot, stone is a great insulator, keeping cool in summer and retaining ambient heat in winter-especially when paired with underfloor heating. However, some specialists suggest travertine and UFH don’t mix. 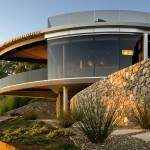 This is because in some cases the stone’s honeycomb structure might crack when subjected to heat – check with your supplier. Can I lay it myself? 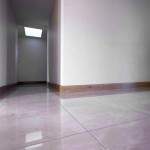 It’s advisable to hire a professional who can advise you on sealants, grouts and substrate preparation to avoid movement This type of material is hardwearing and long lasting. Its great for wet areas as it copes well with changes in moisture levels. In most cases its an extremely eco-friendly choice. Price: From £16 per m2 for budget slate, to well over £300 per m2 for antique flags. In terms of durability and style, timber flooring has long been a favourite in self built properties. The material can provide a unique and beautiful finish, especially when used in large, open plan zones, and can add instant character to your home. Furthermore, it is one of the most sustainable materials you can select. “Look out for products that are certified by the Forest Stewardship Council (FSC) to ensure the chain of custody has been inspected – but regardless of this, since March this year all timber products that are imported into the EU must be traceable back to their origin”? 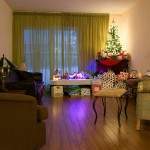 – says Vaughan Goodman from Ambience Hardwood Flooring. When choosing solid wood, consider the colour, thickness, size and style of boards. Look at the grading, too, which makes a massive difference to the appearance – a more natural or rustic grade as opposed to a cleaner type can make a large, bland area look interesting. You must consider the wood’s moisture content when laying solid timber as it will expand and contract. To minimise movement, ensure your flooring is acclimatised and dry when laying. 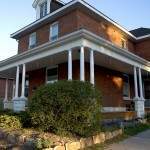 Solid boards can be sanded and refinished when they start to look worn, without any ill effects. Engineered planks are a good alternative to solid. “Once the floors are laid, they look the same”? – says Vaughan. “It would be almost impossible to tell the difference by sight alone”. These composite planks are made up of layers of wood; the top (wear layer) is the chosen species (such as walnut or oak) and must be at least 2mm thick. There are two types of base for engineered planks; plywood or a 3-ply block construction. The former consists of a sheet of plywood glued to the bottom of the wear strip. The latter has a middle skin, usually Hevea or Eucalyptus, which is glued at 90° to the grain of the wear layer, plus a base of plywood. Both types are available in different thicknesses ranging from 12.5mm to 22mm, and usually come in fixed lengths with either a tongue and groove or a click fitting system. Solid planks are not stable so must be fixed in position when installed, by either secret nailing, secret screwing or gluing down. They must not be laid loose over underlay. As engineered planks are dimensionally stable, they can be loose fitted – this technique is also known as a floating floor. Although actually a grass, bamboo is considered a timber for flooring purposes. Its good looks and resilience mean it’s become a firm favourite for living rooms – especially for families with young children, as it is hard to scratch. “Strand woven bamboo is 2.5 times harder than oak, and is stronger than any wood used in many commercial properties. It will certainly last a lifetime and can be re-sanded when necessary”, – says Chris Elliott from The Bamboo Flooring Company. “It also grows quickly, within around five years, so its extremely sustainable”. Does it work with underfloor heating? Yes, with some caveats: choose narrower boards and avoid certain species that are more prone to movement, such as maple and beech. Ideally, use engineered boards and always liaise with your supplier for their recommendations. Can I lay it myself? Most modem boards are tongue and grooved along the edges so that they interlock, forming a barrier against draughts and dust. This also makes them relatively easy to install – especially for the more seasoned DIYer. Get advice from the manufacturer on what type of underlay, if any, is required. If you are investing a large amount of money on products and don’t feel confident in your abilities, its best to call in the professionals. Pros: Sustainable and natural, wood flooring will certainly boost your home’s eco rating. It has a timeless style; so is ideal if you are looking for a product that will continue to get better with age. Cons: Wood’s moisture content dictates how much it will expand and contract in situ, so you have to let timber flooring acclimatise in your home for at least a week before it is laid – which may not be ideal if you are looking for a quick turnaround. Before fitting planks in a new build, allow plenty of time for screeds and plaster to dry as this can affect moisture levels. Price: From £15 to £150 per m2 for solid and engineered boards (or £15 to £35 per m2 for bamboo).